Home > Sales & Management > You own a boat? If you own or if you are buying a yacht that you would like to charter, you can give it to us with trust and become a part of our charter management program. 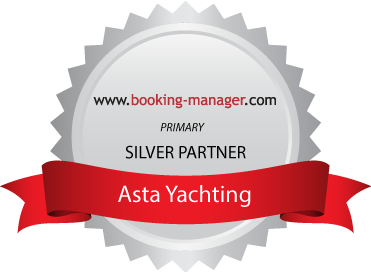 Our yacht booking service includes listing your boat in our charter offer, proposing it to clients and partner agencies, and advertising it in charter market. We have established quality business connections and have large number of returning guests every year. By including your yacht in our charter offer, you can be sure it will be seen by many potential clients, and we guarantee to make a special effort to present it in the market. We can not tell you what yacht to choose. Only you know what you like and what suits your needs. We can help you with advice and give you numbers that might make it easier for you to decide, but the final choice is up to you. However, chartering boats is business and it works only if it is profitable and good quality offer that is in accordance with clients' interest. It is the only thing that allows you to make enough profit to keep your place in the market. That's why we need to provide yachts that are quality, interesting to our clients and profitable. Although it may be just perfect for your needs, every boat is not suitable for charter management. If you have a boat that is accordance with these rules, feel free to contact us for more detailed information. Contact us to arrange consultation and our team. I want to be updated on promotional offers, news and events.